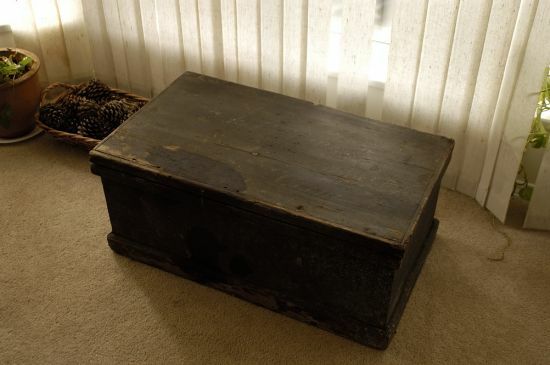 searchmain menuBosun´s LogCrimean War Sea-Chest? I missed yesterday´s entry - got caught-up writing a new web stats module... however I do have rather interesting new developments to report. A few days Back I mentioned the planned trip to Merry Island to liberate some of the old heirlooms there so we could sell them to help raise funds for CCGA-12 well - Kellei and I were on-scene and thus got first dibs. On the preliminary recon trip an old sea chest in the tool shed had caught my eye and after checking that no-one else wanted it I scouped it for a donation of my own to the Auxiliary. When we got home (after a fairly tireing day transporting two boatloads of stuff off the island) I started cleaning up the chest. That´s when I saw the writing on it! <something I can´t read> "Corp"
- Have a look at the photos and see if you agree. Well, that raises some interesting questions. 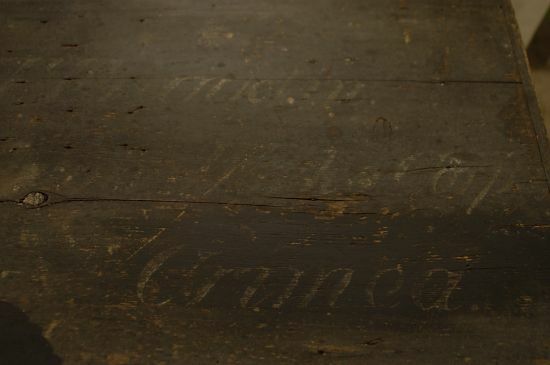 Franklin was the sirname of the first Merry Island lightkeeper - but his initials were W.T. and not T.T. 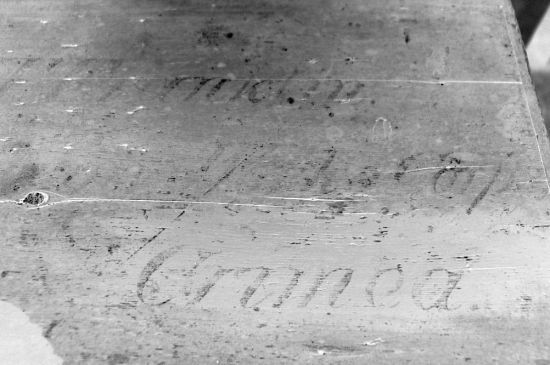 so it could be a relative - I´m still looking for more information About his family from the local archives that might help to see if this is a sea chest from one of his contemporaries or his ancestors. I also tried some processing in photoshop to see if I could bring out the lettering a bit more - but not really. I´ll contact some of my friends in the museum world and see if they have any ideas. I´d love to hear your comments and/or suggestions for how best to delv deeper into this mystery.